During Aisling’s Masters in International Tourism at the University of Limerick in 2004-2005 she designed and implemented ecommerce adoption strategies for the Castletroy Park Hotel. Her dissertation ‘The evolution of electronic distribution’ demonstrated entrepreneurial and innovative thinking as she took theory from her Masters and applied it to a real live business with the Castletroy Park Hotel. 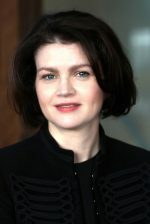 Along with her supervisor Sinead O’ Leary, they published a paper and presented it at the 2nd Annual Tourism and Hospitality Research Conference 2006 where it was short listed for best paper. “The Evolution of Electronic Distribution: A Case Study of the Castletroy Park Hotel”. The work that was carried out in the Castletroy Park Hotel, Limerick Marriott Hotel was nominated for many industry awards including the Marketing Institute Awards, the Hospitality Sales and Marketing Awards and the Golden Spider Awards. In early 2008, she joined Independent Digital the Digital department of Independent News & Media and continued to build on the success of the Independent Digital portfolio by developing and implementing appropriate multimedia communication strategies and delivering tactical marketing plans, SEO strategies, website/brand launches, social media strategies and public relations activities. Now working as a Digital Marketing Consultant, Aisling has 18 years’ experience in the sales and marketing sector across a broad range of brands, including, hospitality, publishing, and recruitment. And can bring focus to, branding and identity, online marketing and promotion, social media strategy, brand launches and events for your business. Synopsis: I have a lot of experience doing new brand launches or re brands. I would talk through the steps that a business goes through to get their business re branded and how to get on line and adopt ecommerce. Two recent examples are with a small Beautician Beauty at Eden and The Restaurant by Johnnie Cooke located on level 3 in Brown Thomas.